Corbieres is one of the largest appellations in the Languedoc, and only a very tiny amount of white is made just 2%. 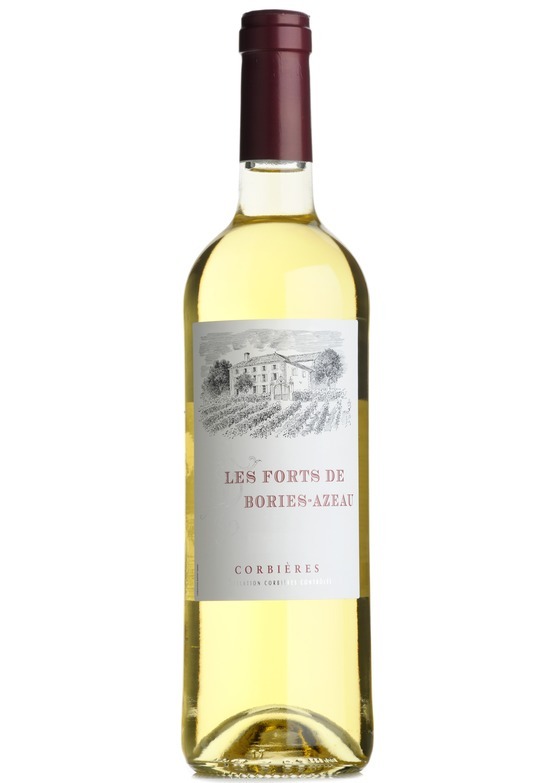 Les Forts de Borie Azeau is in the cooler North of the region and has made a delicious 'Rhône-style' blend. Fresh, floral and aromatic in style, with a luscious roundness on the palate, and ripe apple, peach and pear flavours.